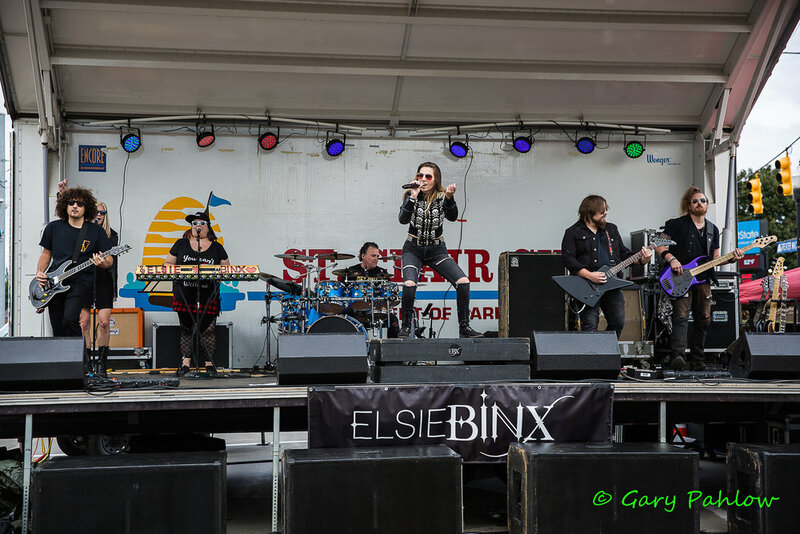 ELSIE BINX – EBX was born when Kevin Wesley Williams and Erin Accomando began working together at The Sound Shop Studio in Macomb, Michigan in January of 2015. They set out to create the sound of a new pop/rock project. 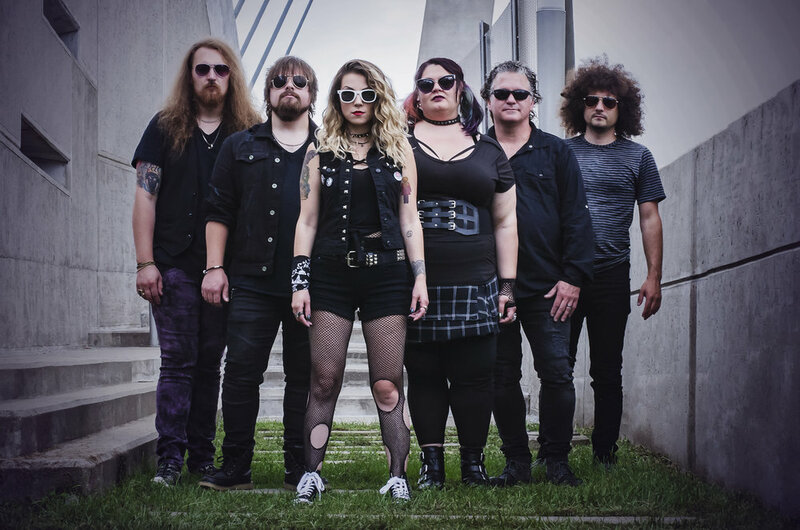 They produced seven-song album ‘Smile and a Bullet’ with Aaron Golematis, which eventually brought together the group of musicians who call themselves ELSIE BINX - EBX today. Throughout the recording process of their first album, ‘Smile and a Bullet,’ old loved ones and new friends were added into the mix. Phil Steuer, who was an intern at Sound Shop at the time, was one of the first permanent members that Kevin and Erin added to the mix. As soon as he began putting guitar tracks down for ‘Smile and a Bullet,’ they knew he was the one. When they were in need of a drummer, Phil recommended long-time friend and bandmate, Dylan McCarty, son of Rock ‘n’ Roll Hall of Famer, Jim McCarty. In January of 2018 Phil made the move from guitarist to bassist, and then moved back to guitar in late February when they brought on Tom Harper as their official bassist. In January of 2018 they parted ways with drummer Dylan McCarty. It was a hard decision for all parties, and they will be forever grateful he helped them get to where they are. Darin Curtis, who is a badass Canadian drummer with excellent performance, playing, and songwriting abilities, has joined the #ebxfam and played his first show with them on Friday, January 5th with Citizen Zero at The Machine Shop. After releasing their first album, ‘Smile And A Bullet’ in October of 2015, they began playing out in public as a five-piece, including one background vocalist. A few months into the endeavor, they made the decision to search for a second guitar player. As luck would have it, one of Phil and Dylan’s best friends became available at the perfect moment in time. They welcomed in Jon Neville as the fifth member of ELSIE BINX - - EBX in March of 2016. They worked diligently for the remainder of 2016 to write an entirely new rock album and have it perfected before recording it that Fall. They successfully released their full-length, 12-song sophomore album, ‘That’s What She Said,’ in April of 2017. Lead vocalist Erin Accomando has been singing for over twenty years, and as a band, they have a variety of influences including P!nk, Led Zeppelin, Boston, Lady Gaga, Janis Joplin, Rob Zombie, Queen, Van Halen, and Halestorm. ELSIE BINX – EBX traveled to California in November of 2017 for a show at the iconic Whisky A Go-Go in West Hollywood with Van Halen Tribute band The Atomic Punks. In addition, they are in the beginning stages of their third album, which has a tentative release date of late 2018 and will be taking the band into heavier direction. The first single "Everything About It" will be released digitally sometime in March. CV: Is there one major Detroit artist you find yourself connected with? EEA: I’d say Jack White & The White Stripes are my biggest Detroit influences. CV: Do you see your Detroit musical heritage as having great bearing on your songwriting approach? Does it affect the way you choose to write? EEA: I don’t really think that Detroit has a lot to do with how I write but I do think it affects how my honestly and unwillingness to sugar coat the truth comes off. My band writes in a few different ways… Sometimes I come to them with a full song idea already written, sometimes one of the guys has a musical idea/demo that I write lyrics to. It’s very organic. We never try to force a song out. It’s important that the inspiration comes from a true place. That’s what makes our songs very relatable. Join our FB Live video with ELSIE BINX - EBX at RAINBOW BAR AND GRILL, and come to their show tomorrow night at Whisky A Go-Go with The Atomic Punks - Van Halen Tribute!! !